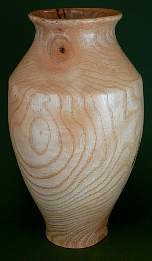 Comments: Item: Alder bevelled vase. Chris Rymer: This guy is the real deal. Very knowledgeable and passionate about his craft and the stunning creations he produces from natural and locally sourced resources. Purchased from: Art event held at York Racecourse _4.10.2015 This piece now has pride of place in our home! Comments: Absolutely adore my new piece of laburnum wood. Compliments our collection. Comments: My second piece from you to go alongside the larger work purchased when you were taking part in open studios. Great scarecrows by the way. Comments: Staying with friends in York whilst Open Studios was on. Visited many artists, bought from a couple including yourself. Lovely piece now in our flat in London. Thanks for your enthusiastic talk and keep up the good work. Helen. Comments: No idea this was taking place so close to us. Your item of wood is now pride of place on our mantlepiece. Picked up a brochure and visited some of the other studios - a lovely piece of glass also found its way home. Comments: I visited the Open Studios trail last year but unfortunately did not buy - had to stop over on my way home this year and make amends. 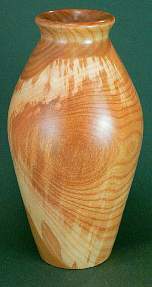 Lovely Laburnum piece of work. Thanks for your patience and hospitality. Margaret. Comments: Wow. Your skilled work is now on my coffee table - looks great. Thanks for your patience letting me choose between so many beautiful pieces. Wow again. Comments: Beautiful wood. Nice to see the end result of using logs rather than burning them which I do. Had to buy one. Comments: Always take in parts of the North Yorkshire Open Studios - the turn of the artists in the 'West' this time. Friendly welcomes, smiling faces and lots of quality work. Bought two pieces of Chris's fantastic work - one for me and the other for a special present. Thanks for taking the time to explain and make us all feel so welcome. Comments: Lovely display - difficult choice. Finally decided on a piece of Yew. Looks beautiful in-situ at home. Comments: The laburnum work of art purchased at York looks fantastic now it's at home - I'm delighted with it. Comments: So many lovely stalls at the Patchings Festival. Came for the art demonstrations and was really taken with your work. Love my piece of Laburnum. Comments: My purchase was pure self indulgence; I knew it would look great with a sprig of winter jasmine and so it does. Comments: I really liked your work, and was completely spoilt for choice when it came to making a decision as to what to buy. So many beautiful woods and shapes. My dad will love the one I chose for him, thank you. Comments: I enjoyed having you around for the Bowery Arts Trail, and everyone loved your work. My vase is beautiful, and I will be giving it as a present with a heavy heart, as I would like to keep it myself. Anyway, I know where to find you, and will be back to treat myself in the near future. In the words of Creedence Clearwater Revival ....."keep on turning"! Comments: Really pleased with my cherry wood desk tidy. Lovely warm wood. Chris was very helpful in guiding my choice on the phone. Would recommend.